Well, September has not been the best month for me. I started a new job, which has made it a little difficult to promote and write like I'm used to. I started a new subscription to a scheduling software called Zoho social, which has helped somewhat, and I also began writing for Medium and participating in questions and answers on Quora. These have somewhat taken what little time I now have for my online work, but thankfully, I am enjoying my job and loving my students. However, with them being mostly three and four years old, the whole snot on hands and mouth and spitting, etc, has given me one of those wonderful sinus infections so I'm pretty much down this entire weekend resting for my work week Monday thru Friday. But! I want to continue my schedule of talking about how goals can improve your performance. I did terrible this month. I don't think I"ll hit any of the goals I planned on. I want to focus on the positive though. I'm seeing a tiny income coming from my blog, I have a wonderful company I use for ads, I have been seen in 70 countries, I have worked for two weeks and finally made a 5 day work week (last week had to skip a day because of sick kids). My son's on his way to a successful school year, my daughter's doing fantastic. We're learning how to manage three full time jobs with two people and all the lunches, bedtimes, bathtimes, signing documents, showers, and life that has to happen between 150 hours of work between the two of us parents. Basically, that means that I've had to start paring down my working online to just a couple hours during the week but mostly on Saturday and Sunday. That's okay though, because Im earning a paycheck and finally able to begin saving for things we need...like a car. Yes, believe it or not we've been living without one for more than a year now, but we're in the perfect position to be without. We are less than a mile from everywhere we need to go. We can ask for rides for the very few things we need to do that are further away and the most awesome thing is we're able to pay for all our bills now without fearing that we'll run short somewhere. It's a great feeling! 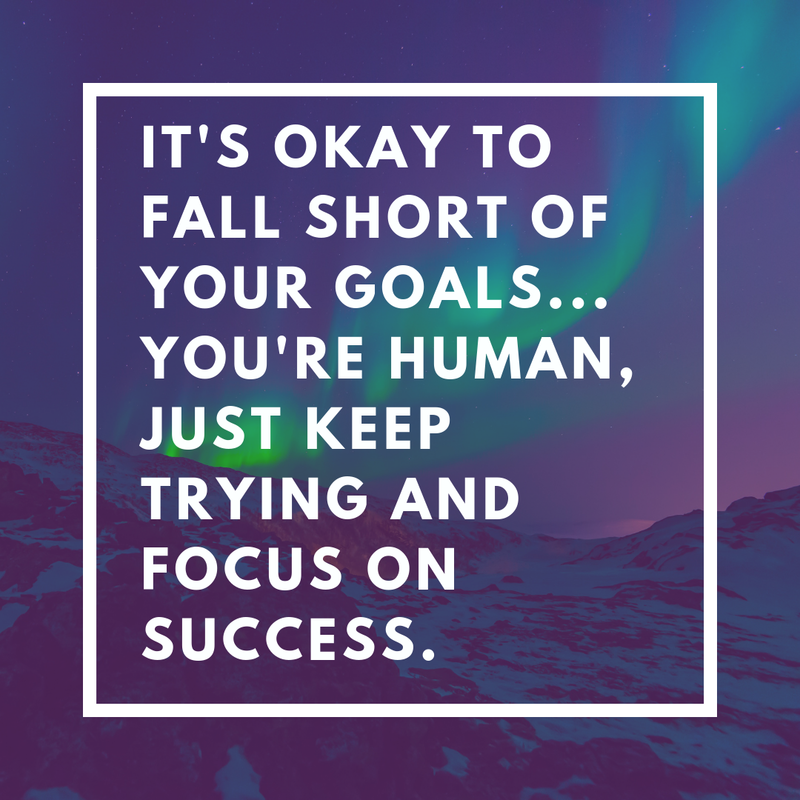 We get all fixated on what we want to accomplish sometimes and forget that we're human. We get sick, our kids get sick, our house turns into a disaster zone, life gets in the way. That's okay. 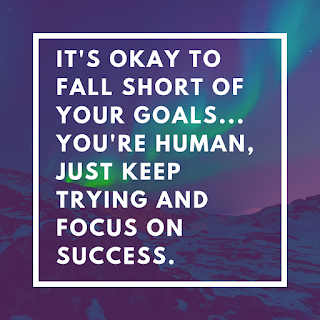 It's okay to put your goals and dreams on the back burner for a while. Just don't forget them and allow them to burn into charcoal like I did with a whole pot of beans yesterday. You gotta keep getting up and trying. Don't let a week or month of failure make you stop trying and wanting to get where you need to go. Just remember to take care of yourself every once in a while. You're not going to get anywhere running yourself ragged!